<How much are World Cup teams worth? These are an interesting set of maps based off of census data. One dots represents numbers of ethnic groups per area, white is red, Hispanic is orange, black is blue. This is a little tricky for small and very large densities but this data is hard to put on one map, so I will not be critical. It is from Business Insider and created by Eric Fisher. The cities are reported by level of segregation lowest to highest. Spoiler – Detroit is the highest and white people live near the beach in LA. 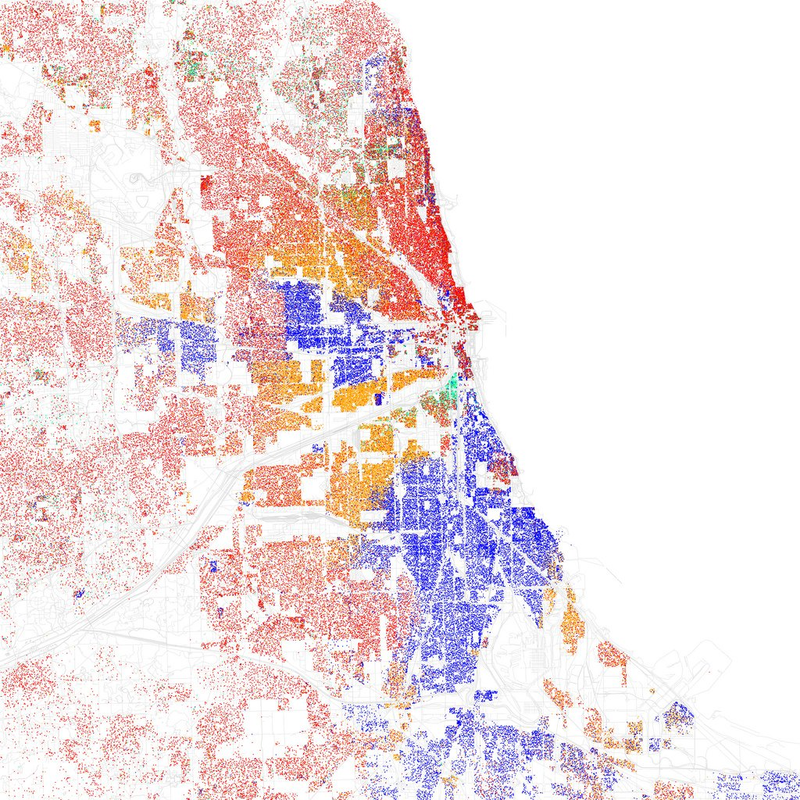 I lived in Chicago and it is segregated not just for Blacks, but also Hispanics and makes for a pretty map. Note Hyde Park on the south side where the U of Chicago is located – red inside of blue. I lived there for 4 years. Residential location effects many economic and social aspect of the United States so is an important topic.